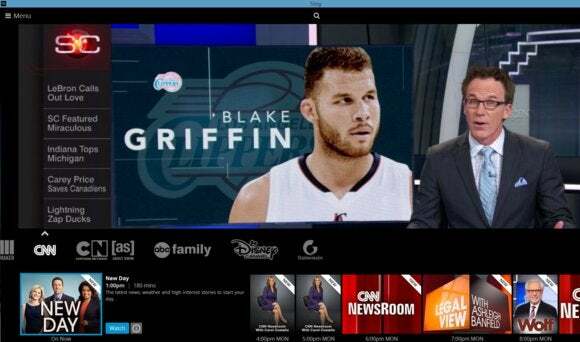 Dish's live television streaming service Sling TV is now open to everyone. After beginning with an invite-only launch earlier in 2015, Sling recently lifted the requirement to welcome all cord cutters. The new service offers nearly 15 channels to subscribers for $20 per month with no long-term commitment. Sling doesn't even come close to offering what you might call the essentials in TV programming, but it does offer many popular channels like ESPN, ESPN 2, TNT, TBS, Food Network, the Disney Channel and CNN. Sling also announced Monday that its basic offering is getting a boost with the addition of AMC. The company hasn't said when the channel will go live, but you can expect to stream live broadcasts of The Walking Dead and Mad Men in the coming weeks. Sling is also adding a number of AMC properties including BBC AMERICA, BBC World News, IFC, SundanceTV and WE tv. There are also add-on packages for Sling priced at $5 per month that add more kids, news, or sports channels. Why this matters: Sling TV is just one of many new streaming services that promise to reshape how we consume live television. CBS has a streaming service called All Access that went live in late 2014, and the company is planning a Showtime standalone package for later this year. HBO is also due to introduce its own cable-cutting streaming service in 2015. Add Netflix and/or Hulu to that mix and true cord-cutting will be more practical than ever this year. While sports and news fans can usually find something to watch on Sling, this service is a long way from being a cable replacement. For starters, it lacks the major broadcast networks and with them, many of the key popular television shows and weekend sporting events from NFL football to college basketball. A dedicated cord cutter can make up for the loss of popular TV programming with Hulu and (if you don't mind being a season behind all the time) Netflix, but weekend sporting events are harder to replace. Some of Sling's offerings do scratch the sporting itch, however, with ESPN and ESPN2 included in the basic plan and an optional $5 per month bundle sports package that packs ESPN U, SEC Network, ESPN Goal line, and Universal Sports. Nevertheless Sling TV is a good start for cable cutters. If the service is successful, it's only a matter of time before Sling, or a competitor, turns into a full-fledged online live TV service.